Hey crafters! I'm Kayla from Kayla Makes and today we're talking fonts. Who doesn't love a good font? I know I do. Luckily for us Cricut users, the font options in Design Space are virtually endless. The software is preloaded with hundreds of font options, plus any font that you've downloaded on your computer/device is readily available for you to use. Today, we're going to chat about Cricut fonts vs. system fonts and which one you should be using. First, let's talk about what's what. 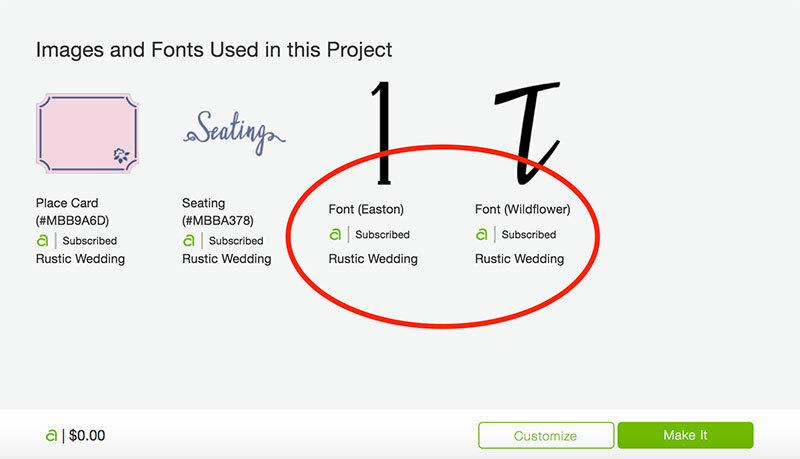 (1) Cricut Fonts are fonts that are preloaded into the Design Space software. Some will be marked with a green "a" and may have a fee depending on your Cricut access subscription. (2) System Fonts are fonts that you have downloaded to your own computer or tablet. When you open Design Space it will automatically load your system fonts. In the fonts window, you can quickly sort by Cricut fonts or system fonts by clicking the corresponding word or you can view all available fonts by clicking "all". When Should I Use Cricut Fonts? Cricut fonts are specifically coded to cut perfectly with Cricut machines so they're always a great option, and if you're a part of Cricut Access you'll have access to over 400 fabulous fonts. Also, Cricut Ready-to-Make projects feature Cricut Access fonts (unless otherwise noted) so anytime you make one and want it to look exactly like the sample photo, you can always find the font listed in the project instructions! Another good use for Cricut fonts applies to using Cricut pens to write with the machine. In the fonts window, select Cricut fonts then use the filter to select "writing" and you'll see all of the different fonts that you can use with the Cricut pens. When Should I Use System Fonts? There are so many fonts available on the internet. From swirly and script-y to blocky and bold. Generally, system fonts will cut just fine. The issue you may run into is when you're working with a particularly distressed or detailed font. Since system fonts aren't coded to be cut, the Cricut machine may struggle and end up destroying your material. It's best to choose a simple font with smooth lines. Another great thing about system fonts is the ability to customize an order for a customer. If you need a specific font for an order you can easily download it and it will be right there in Design Space for you to create with. Which font do you use the most when creating? I just got my Cricut Aire 2. I think I am intimidated by the fonts. I don’t know how to begin!!! You could just start playing around with them in Design Space. Add text and choose a font. Then repeat with the same text, using a different font. Note that some are specifically designed for writing. Get a feel for different possible looks. Practice installing fonts, then finding them in System fonts (after restarting Design Space). Over time you will get used to finding the fonts you want for your project. Good luck! Shapes are available by clicking on the left of Design Space. It will bring up available shapes. You can also upload an image of a shape if you want something not found there. When you are choosing your font, you can choose to see Writing fonts and see if any fill this need. You can also install fonts on your computer, switch to System, and see if they are filled in. If you can find one, the Old West cartridge has a couple of rustic fonts. You would need a desktop version of Cricut Craft Room to make cuts. Another helpful font tip – Cricut does supply some nice free fonts without purchasing Access. From the menu, choose Cricut fonts, then go to Filter at the top right side of the screen. Choose My Fonts and you should get a list of the fonts you have purchased, as well as some free ones. I just got my air explore two and honestly I’m overwhelmed, a lot of accessories, fonts and new vocabulary, all is so confusing…. in your post you mention Cricut access, does it come for free with the already expensive machine or if this something I have to pay for too? Does this machine come with free fonts already? Sorry but you have tons of question even after I have spent hours watching videos. 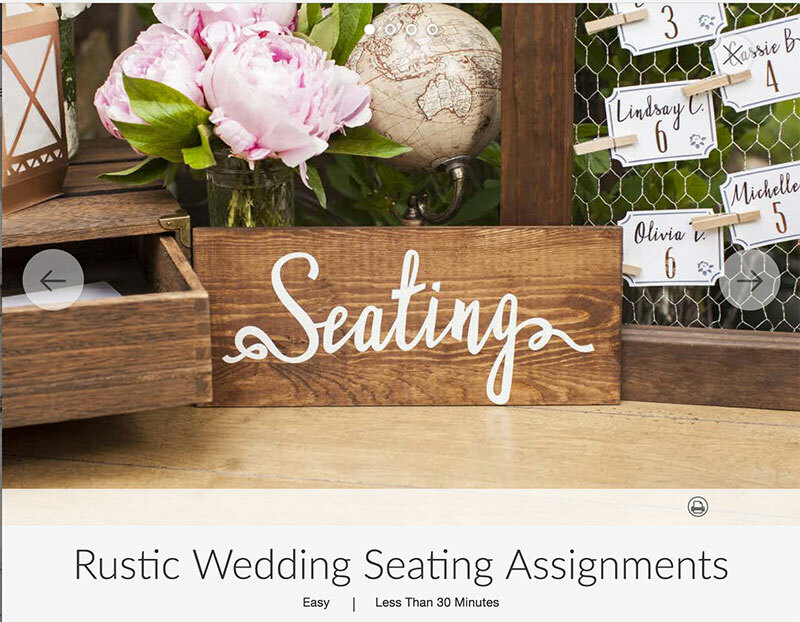 Cricut Access is a subscription program to get additional fonts and images. You can read more about it in this post. I just got the cricut air 2 and I downloaded fonts from etsy. I am still playing around with the fonts. Is there a way to make the fonts regular instead of BOLD/thick looking? It depends on the font. Make sure that it is set to Regular in the bar.Sometimes choosing the Writing version will do it, though sometimes that will turn it into an outline of the font. Are there any websites you can recommend to download more fonts? They need to make design space a little bit easier to use and they need to make it easier to curve your fonts. There is a curve button on the top section of design space….I actually just found it a few weeks ago! I love the already written messages that you have in images. I hope you will be making more. My family and friends just love them…. Me, too!!! For people just starting with fonts I like to use wordmark.it. It’s a website that uses all the font loaded onto your computer and lists your text showing you how it would look on all the fonts. That makes it super easy to compare several fonts at once. We need more Writing Fonts please. Can I get Writing fronts from other places on the internet that will work with my Explore? I would love to be able to curve the words to fit shapes too… around the top of a circle for example or have the word curve like a wave…. it would also be nice to have a shadow image behind/ all around the word itself. I look forward to comments please. You can now curve text. You could try downloading writing fonts that you are interested in and switching it over to System fonts to see if it appears how you would like. I read the article on adding a shadow but what I’m looking for is a blocked image behind the word which has the outline of the word… I hope that makes sense… you can I know buy dies like this for use with diecutting machines. I do not know how to bring up the font program to get started on this? Start typing text and then you can choose a font, switch to System, etc. There has to be a easier way to do a set up on a mat so we don’t waste so much paper when doing fonts. The machine automatically arranges things to conserve space relative to the design. You could move it exactly where you want on the mat, then attach to keep it all exactly like you want it. I have several system fonts that don’t work. Monotype corsiva is one that I love but when I select it it turns into black diamonds with question marks. Am I doing something wrong or do some fonts just not work? Yes, the Cricut may not be able to read some outside fonts depending on how they are set up. Can you explain how to curve fonts. It’s now a feature in Design Space and you can see how to curve text in this blog post. I have the cricut mini. I like it. not love it. I use craft room, not design space and I can’t upload fonts, or images. I Got to purchase a cartridge. what machine is a good one to replace this one with? I love being crafty but I feel this system is limiting me. please help! Hi. It depends on what your budget is and what types of crafts that you would like to do. If you want to work with fabrics, the Maker is a good choice since you can do cutting without bonding the fabric first. You can see a comparison of the different features of our machines in our shop. I have noticed that setting my system font to write does not work – doing so creates an outline of the font as it would if cutting. Is there a way to write system fonts so that each character is filled in properly? All of my system fonts say single cut. How do I use them for writing? On the right side in the layers panel, you can switch it from the scissors (cutting) to the pen tip (writing). Not all will stay solid, so check to see if the font you want to use looks like you want it. I understand how to change them to writing but ALL my fonts from my system, from dafont.com or even ones I’ve purchased only do outlines of letters. How do I make them write the write the whole letter. It depends on the font, especially if it’s an outside one. You may need to find one that is specifically made for writing. I have Cricut Access Premium. I am trying to use the Babette font which has an A next to it. Why is it charging me for the font? Shouldn’t I have free access to it? I guess I don’t understand what all is available to me with my plan. It may be a glitch. Try logging in and out and clearing your cache to see if it fixes this problem. Sometimes outside fonts can look different since we have not adjusted them for Design Space. If you want it to look just like it, you could save an image of what you create in Word and upload that to have it be exactly the same. I am wanting to do a 3 letter monogram. How can I do it so it is in one piece? After you arrange your 3 letters together to make your monogram, click and drag to make a box around all letters, then click Weld. I purchased a font for a project and when I went to use it again on a different day I was being charged again. I was under the impression that paying for a font loaded it to my purchased items and I would be able to use it as often as I chose. Is this correct? When selecting which font to use, I noticed that any system font or new fonts I download do not show up in the list how they are supposed to loo. It shows as a generic example- is this being fixed? Will it charge me if I accidentally click on one of the paid fonts? It will prompt you when you go to make it that there will be a charge to make it. You can cancel and go back and select another font or use a system font.